I told you I’d get back to talking about spinning tops in no time … Okay, this one technically isn’t about spinning tops, but close enough. 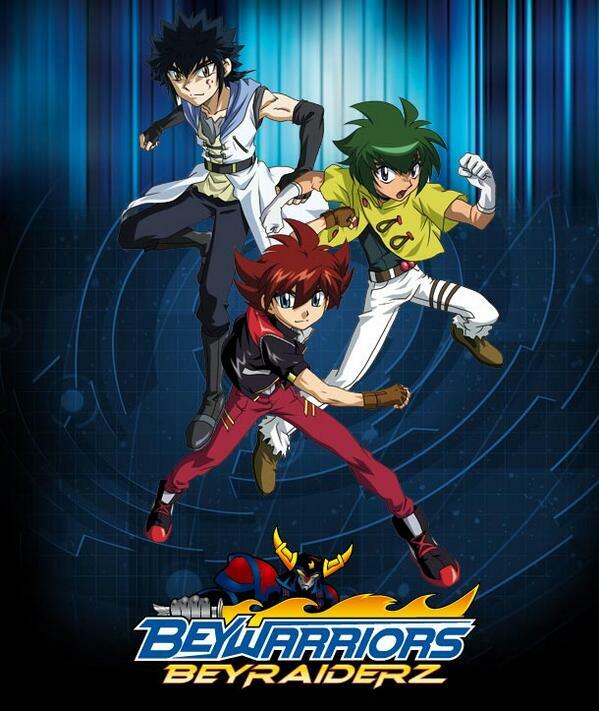 Beywarriors: Beyraiderz is the followup to last year’s Beywheelz: Powered by Beyblade anime series. Sho Tenma and friends return as their Beywheelz become Beyvehicles in an attempt to locate the Six Mythic Beasts that protect their world. The first episode of thirteen, entitled “Hope” airs this Saturday on YTV at 11:30AM. 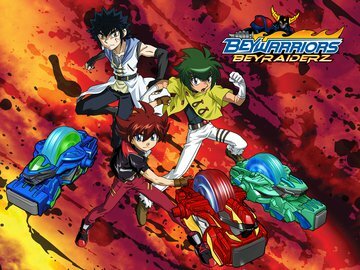 Much like Beywheelz before it, Beyraiderz is a western exclusive Beyblade series not seen in Japan. YTV’s broadcast will be the first time the show is aired in English anywhere. We initially heard of the series last summer as Nelvana announced it, and another Beyblade spinoff under the presumably working titles of BeyRaiderz Shogun, and Beywarriors Cyborg. As Shogun was targeted for a Spring 2014 broadcast, it’s safe to say that has turned into Beywarriors: Beyraiderz. I hope that unneeded “Z” is for trademark reasons. Interestingly, the show takes the time slot currently occupied by YTV premieres of Beyblade: Shogun Steel. It’s unknown as to what the network will do with the rest of the episodes from that series. Via: Twitter (2, 3), and Zap2it.